I read the map differently. I have been following developments within and about Egyptian arenas via direct source Arab media. The occurrences and turn of events in Egypt since January 2011 have been a fascinating instructive object lesson to those who followed up attentively open minded. The more so for me, being an old Jewish academic 1951, an ex-flux ending more than two millenniums stay in Babylon – Iraq in modern times – a country which after the exodus of its ancient Jewish population has been fated ever-since to foster inter and intra sectorial deadly animosities leading meticulously practically to actual and imminent daily bloodshed and destruction. Well, one may cynically remind – the classical Jew scapegoat was not there! Jews and Egypt are spiritually bound by sort of a standing mystic non-perishable historical Pharaoh pre-Islam linkage. The growing Islamic presence since the “Hijra” and the involvement of Jews in Arabic culture and the Professions overshadowed that basically intrinsic affinity by Jews to Egypt and Egyptians. The inception of the State of Israel in May 1948, adjacent to Egyptian borders, must have had, in a way, insidiously rekindled dormant ember – hybrid biblical reminiscences and muzzy sentiments cropping out of current animation of past factual or legendary chronicles. Somehow, time and again a sporadic visualization steps on me: Hebrews, lacking staple food, sojourn for good or bad, the land of the Nile within the precinct of old Egypt, deep in slavery, politic, culture, reign. I am just one descendent of that remarkable old breed, my fore-parents’ exodus, my roots deep in that blessed soil, somehow sometime over there, sweating the heat and toil, maybe availing themselves of the blessings of the Nile. I have not been in Egypt physically, I care for Egypt and do wish her stable peace, rising prosperity, to flourish and keep safe and sound. The Inauguration Ceremony of President Sisi is an important milestone in Egypt’s history. It is the first time ever for a Head of State to be elected by direct public referendum in accordance with stipulated principles and procedures embedded in updated fair and equitable constitution along with Presidency actions and Orders susceptible to statutory oversight. I tend to believe in President Sis, his integrity, his piece and peace of mind. I distinctly feel his honest intentions and earnest inclination to afford his country and people fair and equitable peace and prosperity. “Democracy” is a tricky hazy-crazy expression subject to interpretation of the specific tamed or untamed specific interpreter. That expression could be manipulated when promulgated and easily adaptable by persons or groups to accommodating their own particular interests to serve sinister ends. It is amenable in interpretation, unpredictable in application. Looking closely constitutionally on the Egyptian scenario since June 2013, an objective mind cannot end up with a verdict of guilty against the General Staff. The involvement of the General Staff was critical to save the country and inhabitants from falling easy prey to extreme radicalism, back to dark pages of history. In the case of Egypt, its Armed Forces hold the statutory authority to act and were the sole address able to cope with the i calamity. The score count fails the Muslim Brotherhood. Their trends and actions were appalling and extremely dangerous to the nation at large. Their religious doctrines and fanaticism are not representative of core Islam, just far away from main scriptures and spirit, mostly nullifying pivot center stream. Sisi, on the memorable June 30, 2013 stood up steady and decided amidst chaotic impending mischief to save his country, the people and future of Egypt. The cruel bad omens did not come true/ . Luckily, with Almighty’s will he succeeded. Summing up, my legal and accounting qualifications and expertize with plain common sense scrutinizing President Sisi’s background and record, sensing his acts, utterances, decisions and judging the recent revision amendment to the Constitution, he has certainly done very well so far. He leaves impressions of charisma and integrity, civilized, religious, carries himself well. He thus holds a good chance of successfully navigating his Egyptian heavy barge through and beyond muddy hostile inter and intra currents. I bet he will do his level and above best honestly, conscientiously, equitably to attain his declared clear goals. His people need him. The shaky Middle East need him. Elias, thank you for your opinion and insight I appreciate your reply. However, I must say the majority of your post focuses outside of the personality of Sisi and the recent history. Most importantly I note the heavy handed sentencing of journalists and the issued death sentences against nearly two hundred Muslim Brotherhood members. I don’t disagree with you at all that under Morsi many of Egypt’s issues got worse and many problems were added, but I don’t hail the return towards a strong military leadership as a positive given the recent history citing most notably Mubarak. 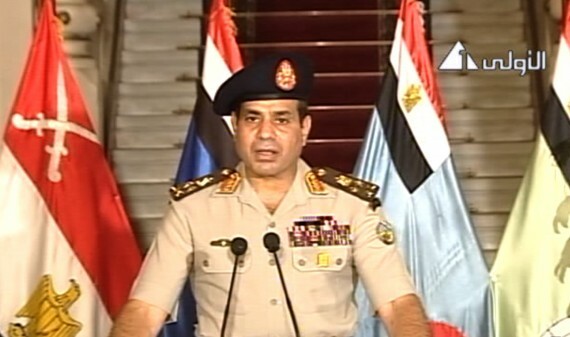 I don’t mind that Sisi is civilized, full of charisma, and holds himself well. I wish for an accountable leader in Egypt that listens to all Egyptians, not just those who put him in power. 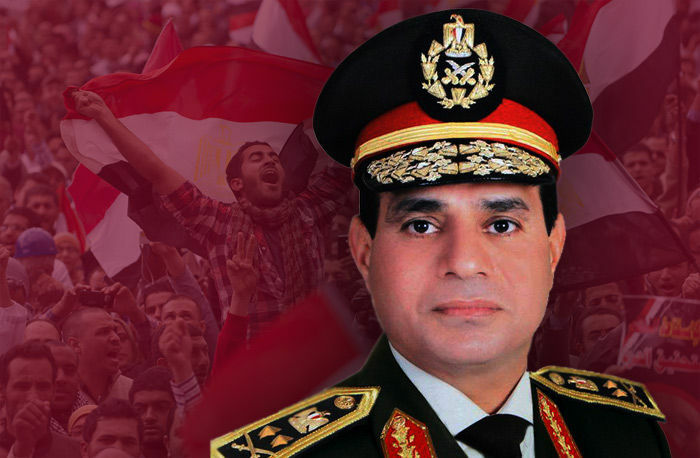 As a military leader he comes from a institution in Egypt that holds significant power and has the opportunity to reform, however there is little indication that any in the military leadership ranks wish to see another civilian leader at the helm of Egypt. Democracy is a very difficult and fluid concept in any situation. It is clear if you read into the elections that Sisi’s ascendance was guaranteed but not through the most honest means. Many people boycotted the election and many voted for Sisi as the ‘least-worst’ option. I agree that the election of Sisi will bring a much-needed level of stability to the country but I question at what cost to the social and economic prosperity of the lower classes and those not tied to the military. Sisi has the power to change Egypt, and I am cautiously hoping for the best.